Does Warstorm Surge look at Ogre Battledriver's pump? Does Warstorm surge go off before any creatures(or other spells) effects? 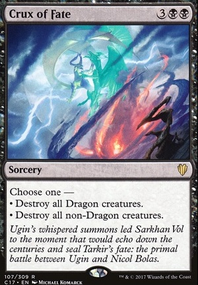 Marath trigger Interactions, will it work? How does Ogre Battledriver and blade of selves interact on the tokens? Last_Laugh on Grenzo the silver fox will STEAL YOUR GIRL!!! Lol I've never seen Marton as a commander but I've ran him in Marchesa, the Black Rose with good results. Ogre Battledriver would be a good haste enabler here for pushing combat damage. Weird Harvest is much more cost effective here than Tooth and Nail. Search up Ancestral Statue and Purporos currently for 4 mana then combo off with a 5th mana. 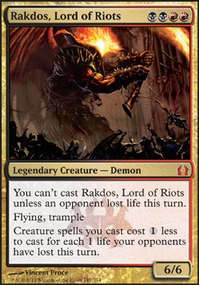 The preferred finisher here is Walking Ballista so you only need 4 mana (both only need 3x counters on Animar). Also Spellseeker as a 2nd chance to get this combo going. More mana untap etb's. Great Whale is also worth running in addition to the 2 in your maybeboard and Palinchron. Stadium Vendors also accomplishes the same thing. Beastcaller Savant goes infinite in Cloudstone combos due to the haste. 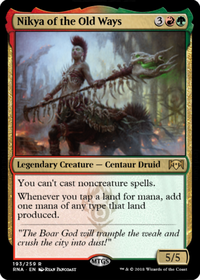 Haste also turns any other mana dorks into Cloudstone combo pieces, consider Urabrask the Hidden and Ogre Battledriver in addition to Wanderer. 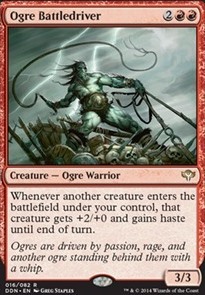 Ogre Battledriver ... add this to a sac outlet and Flayer of the Hatebound and it goes from 36 damage per round in a 4 player game to 52 damage and if you're lucky enough that Goblin Bombardment is the sac outlet, it's 60 damage. Glimpse of Nature and Primordial Sage are both worth running. You want as much redundancy for this type of draw as you can. 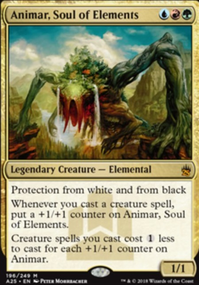 Depending on how important a turn 2 Animar is to you, Wild Cantor and Exploration are worth it. T2 Animar speeds up the deck considerably. 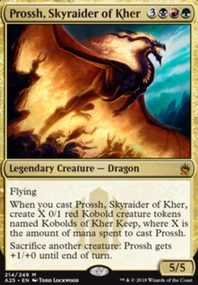 Haste enablers like Urabrask the Hidden and Ogre Battledriver speeds up all our threats but more importantly it turns all our mana dorks into Cloudstone combo pieces. 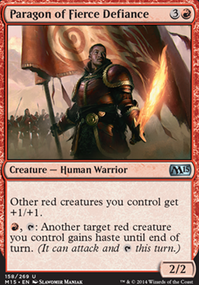 Speaking of Cloudstone type bounce, consider Equilibrium and/or Tidespout Tyrant as an option that both also let you bounce yours or opponents stuff.